The Plot: Venom investigates CCRC, the company involved with the Hobgoblin’s recent scheme in New York, and learns it’s providing material to Kennedy Space Center. He travels to Florida and stops an illegal exchange of radioactive material. He then interrogates a vice president of the German-owned bank, Regners Wilhelm. Meanwhile, Peter visits the Connors, and learns from William that Curt has been using the family’s ATM card in various locations near the Everglades. Soon, Spider-Man locates the Lizard, but their encounter is interrupted by Venom. When the police arrive, Venom and the Lizard escape. Later, Peter and Vreni Byrne separately investigate the connection between CCRC and Regners Wilhelm. At the home of Jurgen Gottschalk, an ex- Regners Wilhelm employee who’s on house arrest for money laundering, Venom appears. He forces Jurgen to reveal the bank has been laundering money for an outfit that is taking radioactive waste from Europe, converting it into plutonium, and then sending it back overseas. The Subplots: MJ has a modeling job for a "high tech" campaign that could send her to Kennedy Space Center. She’s annoyed by Maurice, the flaky photographer. 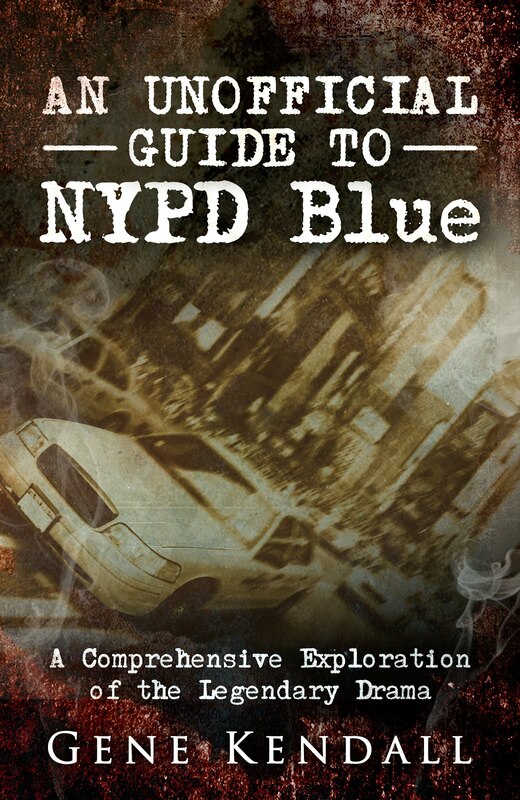 Meanwhile, Peter learns from an ESU classmate that the mysterious smoke is an experimental substance called “hydrogel.” He discovers that it can’t be harmed by a sledgehammer or blue flame. Elsewhere, a man named Fischer monitors Curt Connors’ activities. I Love the ‘90s: MJ buys Peter a cell phone to stay in touch while they’re in different parts of Florida. She says it’s a "new netwide" cell phone that would also work in New York. Peter worries about the cost. The phone’s number is written on a sticker attached to its top. Peter writes the number down in his address book. Review: Hmm…do you think this novel has enough plot threads? The evil corporation from the first novel is back, a German-owned bank is laundering money, there’s a scheme involving radioactive waste, something fishy is going on at NASA, a mysterious group of men are somehow controlling the Lizard by remote control, Spider-Man’s discovered some kind of corporal smoke that’s invulnerable, MJ is on a photo shoot that seems inevitably to be heading towards Kennedy Space Center, plus Venom has also decided to get involved. I don’t doubt Duane’s ability to draw all of these threads together, but the abundance of plot threads causes the novel to morph into scene after scene of Spider-Man/Peter Parker, Vreni, and Venom all investigating this complicated conspiracy involving money laundering and illegal smuggling. It’s honestly not the most interesting subject in the world, and the stakes just don’t feel as high as they felt in the previous novel. The basic mysteries involving what the smoke substance is and why the seemingly mindless Lizard would steal it are fine, but these are the most interesting questions and they receive the least amount of attention. The Venom Factor had a certain tension that ran throughout the book, culminating in the Hobgoblin’s threat to unleash a dirty bomb in Manhattan. 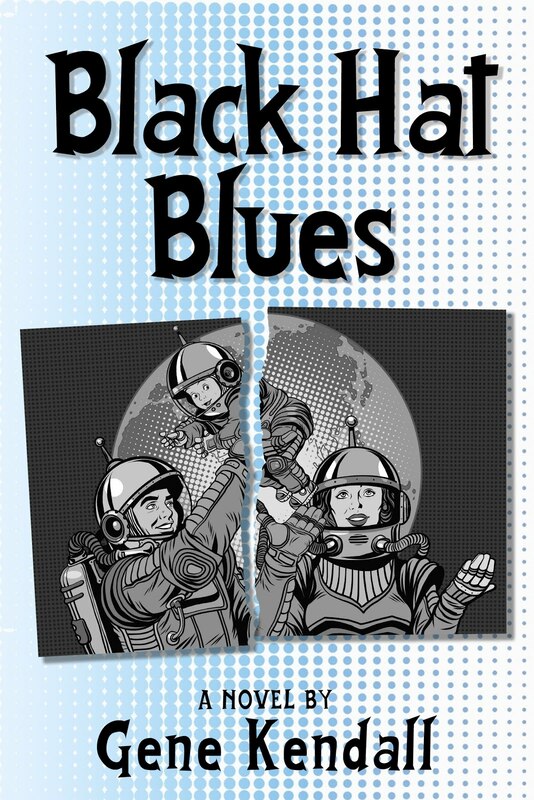 This novel spends over a hundred pages having characters slowly discover corporate espionage and a possible cover-up at NASA. I realize that rogue nukes (or at least the potential to create nuclear material) play a part in this story as well, but there doesn’t seem to be anyone in the story that’s either crazy or competent enough to actually be a threat with them. 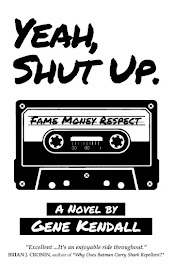 So, while the main story drags, the novel relies on Duane’s characterization skills to maintain the reader’s interest. Peter and MJ are still written as a fun couple, and there’s a cute bit about Peter forgetting to turn off his cell phone, because MJ won’t stop calling him, while hiding from the police in the Everglades. Martha Connors is fleshed out for perhaps the first time, as Duane does a great job dramatizing just how lonely her life is. Venom even has his moments, doing a better job investigating the conspiracy than either Peter or Vreni. Partially because he’s willing to terrorize people into giving him the information he wants, but also because he’s not that bad of a reporter. I also like that his motivation to go to Florida is partially to investigate CCRC, partially to stop the Lizard (and “correct” one of Spider-Man’s mistakes), and partially to look for another excuse to fight Spider-Man. I do have to question, however, Venom’s unusual passion for companies obeying environmental regulations to the letter of the law, which is how one of his interrogation scenes plays out. Suddenly casting him as an ardent environmentalist just seems like a strange choice. The Subplots: MJ is in Miami to visit Aunt Anna, and to pursue modeling opportunities now that her acting career has stalled. This story is set a few weeks after Duane’s first Spider-Man novel, The Venom Factor. That places it shortly before the Clone Saga. I believe Vreni Byrne is a new creation for the novels. She’s described as a tough, yet beautiful, blonde. The Lizard is described as a mindless beast, and not semi-intelligent, drawing upon his more recent appearances in Web of Spider-Man. Billy Connors is referred to as “William” in this story, which happened a few times in the early ‘90s when Marvel seemed willing to age the character a bit. Peter is able to drive a car without problems, even though at this point in continuity he shouldn’t have a driver’s license. I Love the ‘90s: Peter has to make sure he gets a longer answering machine tape before leaving town. Review: I enjoyed Diane Duane’s first Spider-Man novel, and thought it held up very well upon rereading, so I’ve decided to review the second installment in her Spider-Man/Venom trilogy before moving on to any more of the Marvel prose novels. 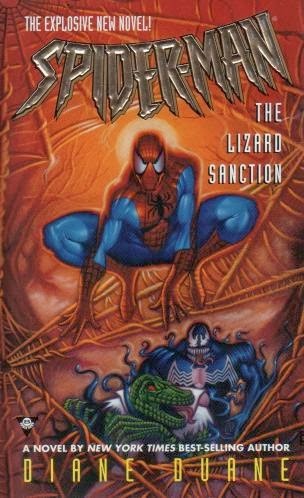 Unfortunately, while The Venom Factor had a strong opening, dropping you into Peter’s somewhat mundane but still entertaining daily life, The Lizard Sanction just doesn’t draw the reader in as quickly. The character work is still there, as Duane does an admirable fleshing out everyone from Kate Cushing to random Bugle employees to NASA security guards, but there’s nothing in the book so far that compares to the fun banter between Peter and MJ in the first novel. I also wonder if Duane’s attention to detail is slowing the book down a bit in the beginning, as we receive copious information on the interior of Kennedy Space Center, how space stations are powered, the exact details of mounting a Questar telescope on to a camera, and even how the Daily Bugle’s travel arrangements are handled internally. The book opens with a fairly generic guards vs. Lizard scene in the Prologue, then goes without any action until the end of the second chapter. The novel’s eighty pages deep before Spider-Man has his first confrontation with the Lizard. Peter and his supporting cast remain likeable, appealing characters, thankfully. Duane has a fantastic handle on MJ, refusing to write her as a nag or jealous spouse. She actually likes Vreni Byrne, a character you might assume has been introduced as a rival love interest, and is consistently portrayed as someone who supports her husband, even if she needs the occasional break from his insane life. I don’t think any of the comic stories at this point even had MJ considering going to Florida to visit Aunt Anna, which is odd in retrospect. It’s a perfectly logical way to shift the setting of a story out of New York, and not much of a stretch for introducing a new Lizard story since his family lives in Florida. The Lizard at this point in continuity needs some rehabilitation after “Torment” (the comics couldn’t decide if they wanted to keep him as a mute monster or not.) The prose format could offer more insight into his thought process than a traditional comic could, so he’s not an unreasonable choice of a villain. Duane understands the importance of the Connors family in a good Lizard story, so I’m glad she’s bringing them into the novel early. Admittedly, Martha and Billy, um, William aren’t given a lot of personality yet, but Peter’s inner monologue effectively gets across what the family’s life has been like since Curt became the Lizard. Peter’s sympathetic towards them, of course, which works as a reminder of how empathetic he is when properly written, so at the very least the reader knows that the Connors are important to him. My main issue at this point, aside from the pacing, is the casual way Peter’s traveling to Florida and appearing as Spider-Man with no cover whatsoever. Peter just outright tells William that he’s going to be seeing him in Florida, and Spider-Man just might be coming as well. If we’re to believe that William is any older than eight at this point, it’s hard to imagine the kid’s not suspicious. It’s amusing that some writers go out of their way to have Peter provide some excuse for why Spider-Man’s suddenly appearing in the town Peter Parker’s traveling to, and others just plow ahead. Summary: With Xavier in his possession, Apocalypse begins his plan to use psychics to reshape reality and rebuild existence in his image. Magneto and Mystique turn on Apocalypse, but are unable to defeat him. Magneto frees Wolverine, shortly before Cable enters piloting Graymalkin. They face Apocalypse, Sinister, and the Nasty Boys. Meanwhile, with Bender’s skewed guidance, Bishop begins to free the psychics. While Bishop serves as a distraction, Xavier unites the psychics to combine their powers and drive Apocalypse out of the Nexus of Time. After the mutants return home, Bender reveals himself as Immortus, and begins the work of repairing the Nexus. Other telepaths seen in Apocalypse’s grasp include Karma, White Queen, Typhoid Mary, Mesmero, Moondragon, Stryfe, and Rachel Summers. Two characters that might be Tessa and Purple Man are also included, along with some new designs I think were created for the show. If you question if hypnosis makes Mesmero a telepath, I agree with you. After destroying the united telepaths, Apocalypse says he’ll reshape reality from the beginning of time and remove the universe’s fundamental balance of good and evil. Magneto is angry that Apocalypse has gone back on his word, as he promised to recreate reality in order to construct a future where mutants rule. Just two episodes ago, Magneto’s given reason for joining Apocalypse was that Apocalypse would resurrect his wife. Beast is shown at the mansion when Xavier and the others return from the Nexus. He should actually be with the rest of the X-Men in Cairo, based on the ending of the last episode. Review: As “Beyond Good and Evil” concludes, Apocalypse finally explains his master plan, and what a doozy this is. Apparently, the producers have decided that “telepath” and “psychic” are interchangeable terms, in the sense that reading minds and seeing the future are the same power. That’s utterly ridiculous, but the episode even provides some pseudo-science in an effort to defend the theory. As Apocalypse explains, “Time is motion. And motion and thought are in unity.” He claims that this is why some psychics can see the future, as an image of Professor Xavier appears behind him. Yes, that ol’ Professor is always looking into the future, because we all know that’s been his established power since 1963 or so. Outside of a few references in Psylocke’s early Marvel UK appearances (long since forgotten), I’ve never heard of any story establishing that Marvel telepaths can see the future. I realize that the cartoon isn’t bound to the continuity of the comics, but when has this ever been established even within the cartoon? And if the story really required mutants with precognitive abilities, it’s odd that Destiny, the only mutant I can think of with that actual power, doesn’t make a cameo in any chapter. Ignoring the specifics of this absurd scheme, the episode still has a few things going for it. Magneto is allowed to redeem himself, and behave more heroically than he has so far in the show’s run, as he reveals that he never trusted Apocalypse and was apparently planning all along to double-cross him. Magneto and Wolverine teaming up against the true villain is one of the storyline’s best moments, even if there’s no great reason for Wolverine to be in the Nexus in the first place. I imagine the plan all along was to have Wolverine, Bishop, and Cable unite in the story’s finale to face Apocalypse, if only to have the three big anti-heroes of the X-Universe all in one place. Aside from bringing together the biggest stars of…well, 1992, the selection of these characters helps to play into the larger theme of good vs. evil. Wolverine, Bishop, and Cable don’t fit into a traditional category of “good,” nor are Magneto and Mystique traditionally “evil.” Apocalypse views the universe’s fundamental need for good to counterbalance evil as an impediment to his plans, but he doesn’t understand that good men are capable of evil and vice versa. It’s not a bad idea, although I question the inclusion of Mystique in this paradigm. In the comics continuity, yes, assuming you’re talking Claremont’s interpretation of the character. 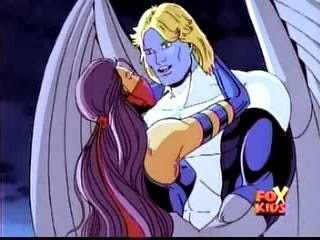 But the cartoon’s Mystique is Apocalypse’s blind servant. She never developed much of a personality, and no story so far has established she had any doubts about following Apocalypse, so seeing her turn on him feels like an arbitrary plot twist. The scene only works if you’re bringing in knowledge of the comics continuity and just ignoring her previous appearances on the show. Regarding the episode as the hypothetical “final” episode of the series, I think it would’ve largely been a disappointment. The episode goes out of its way to give everyone a happy ending, even Archangel makes amends with Psylocke based on the “connection” he feels with her, but it doesn’t feel like much of a goodbye to the X-Men, as characters or a concept. Thematically, this storyline barely ties in with what X-Men stories are traditionally about, aside from the larger concept of good vs. evil. And the character moments are pretty weak; Cable and Tyler, Bishop and Shard, Archangel and Psylocke…these are all relationships that have barely played a role in the series, yet they get equal time with Scott and Jean’s reunion at the end. Perhaps if Scott and Jean’s wedding actually occurred in this episode, rather than at the serial’s beginning, the episode would’ve had a stronger sense of closure. Instead, it feels like the ending of almost every other time travel storyline in the show’s history. Even if the story provided a satisfying conclusion, I would’ve hated to see the series end on this episode, simply because the animation is still subpar even by X-Men standards. If “Beyond Good and Evil” looked like those old G I. Joe or Transformers multi-parters, I think the questionable plot could’ve been forgiven. For most fans, it would’ve been satisfying just to see all of these X-Men characters in one story with decent animation. Summary: With Tyler’s help, Cable breaks into the government’s time machine, Graymalkin. He travels to the present day and meets the X-Men. After Wolverine interrogates Sabretooth, Xavier realizes that their foe is Apocalypse and that Cable could be an ally. Cable takes the X-Men in Graymalkin to Cairo, where Apocalypse’s Lazarus Chamber is being constructed. The team defeats Apocalypse’s new Four Horsemen, but discovers that the Apocalypse inside the Lazarus Chamber is actually Mystique. Apocalypse ambushes the X-Men and grabs Xavier. Wolverine enters Apocalypse’s teleportation portal before it closes. Graymalkin is Cable’s orbital space station from the comics. His dialogue hints that the government confiscated it years earlier. Years after the comics established that Cable’s body is mostly techno-organic, the cartoon is still treating Cable as a standard cyborg. This episode, he has Terminator eyes and a keypad on his metal arm. Speaking of Cable retcons, Apocalypse is determined to abduct every telepath on Earth, but he leaves the all-powerful Cable behind in Cairo. Rogue, Shard, and Jubilee are left at the mansion while the team travels to Cairo. Archangel joins the X-Men on their mission. Shard referred to Archangel last episode as a “future X-Man,” so it’s possible this scene was intended as another hint that Archangel would be joining the team. Review: Thankfully, this chapter feels less frantic than the previous episode, as the focus shifts to a fairly straightforward Cable/X-Men team-up. Apparently, the creation of Apocalypse’s Lazarus Chamber in the modern day is meant to be the nexus point that’s causing so much chronal chaos to surround “today,” which is dubious logic at best, but it’s at least an attempt to explain why the X-Men’s era is so important. The sense that this is the show’s final hurrah returns in a few places, such as Wolverine and Sabretooth’s interrogation scene. It’s all left off-camera, but the dialogue does a good job of hinting at what happened between them when Sabretooth was locked in a room with Wolverine. This was probably intended as a way to give Wolverine a final victory over Sabretooth during the closing days of the series. The scene’s reminiscent of the better Wolverine/Sabretooth moments from the first season, probably because this episode’s written by Michael Edens, one of the stronger writers from the early years of the series. The plot also does a decent job of tying together various characters that have had little or no interaction so far. Cable’s barely had contact with the X-Men on the show, so it’s entertaining to hear him, as caustic as he ever appeared in the comics, dismissing the team and giving “who cares?” responses to most of Xavier’s dialogue. Cable and Archangel both hate Apocalypse, a connection that I don’t recall the comics ever exploiting, but this story does a good job of emphasizing that association. Having Archangel actually join the X-Men on a mission is a welcome break from the show’s tradition of casting non-official X-Men in its canon to the side. Cyclops and Cable have a brief scene, hinting at their familial bond, but never actually confirming anything to the poor confused kids in the audience. Regarding the actual point of all this, Beast does have a brief exchange with Cable that hints at the theme. Beast suggests that even if Apocalypse is destroyed, some other evil will take his place because the conflict between good and evil is “a part of the fabric of existence.” For Saturday Morning TV, this is somewhat profound. Not that the story is drawing attention to the fact, but Beast is questioning the basic underpinnings of all heroic fiction. Unfortunately, the animation is just as disappointing as it’s been throughout the serial. It’s hard to sell the idea that this is the big, epic X-Men event when it features some of the most mediocre animation of the show’s run. Apocalypse’s new Four Horsemen are also a disappointment, as their designs are fairly tepid and there’s no personality assigned to any member. I think this episode would’ve been a great opportunity to see the Dark Riders make their animated debuts. At the very least, the Dark Riders have unique designs. Visually, I don't think anyone could argue they're generic. I’m assuming most of the Dark Riders ended up with X-Men action figures in the ‘90s anyway, so it’s odd to see them omitted from the television show. Summary: Deathbird attempts a coup of Lilandra’s throne, but is double-crossed by Apocalypse, who reveals that he was only interested in the psychic Oracle all along. Lilandra sends a telepathic message to Xavier, warning him of Apocalypse’s plans. Cyclops suggests spying on telepaths in order to find the next one targeted by Apocalypse. In England, Archangel’s family castle is robbed by Psylocke. Soon, Psylocke is targeted by more mutants who have joined Apocalypse’s side: Sabretooth, Mystique, and Magneto. Magneto is able to ward off the X-Men and bring Psylocke to Apocalypse. 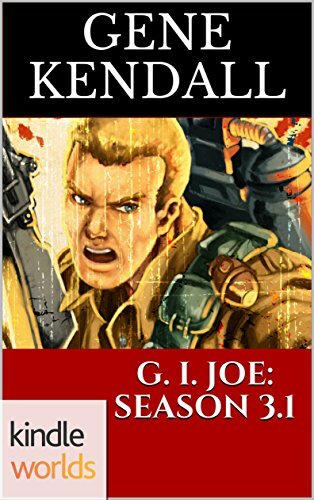 In 3999, Cable and Tyler attempt to break into a secret government time machine. Sabretooth is taken captive by the X-Men, while Mystique escapes. 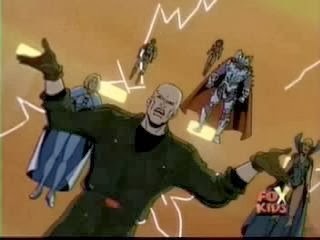 Gamesmaster makes a cameo at the end, as the latest telepath kidnapped by Mr. Sinister. Psylocke makes her first full appearance on the show. She doesn’t have a British accent, however. Archangel is now wearing the retro costume he adopted in the comics in 1995. Sinister claims that Apocalypse will reward him with “a new breed of human” that he can engineer. Now that he exists outside of time, he can monitor his experiments over the course of centuries. Magneto, meanwhile, is working with Apocalypse because he claims that he can resurrect Magneto’s wife. Apocalypse reveals that he landed in the “temporal control center of existence” after getting knocked off-course in the previous episode. He’s spent centuries inside, planning his next scheme. “Um, Actually…”: Psylocke is portrayed as a mutant rights activist that steals in order to (somehow) advance the cause. This is an invention of the cartoon, as she’s the daughter of an elite British family in the comics and worked as a fashion model and airplane pilot before becoming involved with Captain Britain and later the X-Men’s adventures. She also claims that her brother fights for mutant rights, which is puzzling. Her two brothers in the comics are Captain Britain and Jamie Braddock; the mutant is Jamie, and he’s always been portrayed as utterly insane. "Actiiing! ": Apocalypse’s voice sounds deep and menacing again. What is going on? Approved By Broadcast Standards: Psylocke doesn’t stab her opponents with her psychic knife in the cartoon. Instead, she shoots it out of her hands like a laser blast, which I suppose is less menacing. In one scene, she does appear to stab Archangel, but it’s in the chest and not his head, and the scene is framed from a distance. “Huh?” Moment: Psylocke is referred to as “dark haired” and “raven haired” on two separate occasions by Archangel and Wolverine. Did the producers really think Psylocke’s purple hair was supposed to represent black, as opposed to, say…purple? Review: As the story reaches the halfway mark, the immediate point of the serial remains unclear. “Throw in every character you possibly can” is obviously the goal of the storyline, but that doesn’t make the story itself inherently interesting. Apocalypse’s abrupt dismissal of Deathbird in the opening scene contributes to the disjointed feel of the story. If Deathbird’s only a pawn to be so casually dismissed, why was she with Apocalypse at the end of “Sanctuary” in order to tease this story? That obviously implied that she would have some significant role to play, but she’s kicked out of the plot very quickly. She contributes virtually nothing, and seems to be appearing solely to check off a box on the list of slightly obscure X-characters that haven’t had speaking roles yet. As the episode goes on, there is that basic fanboy thrill of seeing characters that haven’t appeared in a while, or at all, on the show. That helps to keep up the momentum, but by the time Magneto finally appears in the final minutes of the episode, just seconds after Archangel, Psylocke, Sabretooth, Mystique, Wolverine, and Shard have the obligatory fight scene, there is a sense of “What is this?” that’s hard to ignore. To the producers’ credit, Magneto’s justification for working with Apocalypse is explained very quickly, and it does allow Magneto to stay relatively in-character, but he’s yet another character cluttering the story. It’s also frustrating that after looking great (again, by AKOM standards) in “Sanctuary,” Magneto’s back to such a bland look this episode. Every character looks wooden this episode, with the exception of Psylocke, who seems to be drawn fairly consistently and with about as much “grace” as you can expect from AKOM. While the main story feels a bit muddled, there is some effort to insert the character drama that was initially the hallmark of the series. Storm objects to Cyclops’ plan to simply tail telepaths and see which one Apocalypse kidnaps next, claiming that it’s cruel not to warn them that they’re in danger. She also suggests that he wouldn’t be so eager to sacrifice others if Jean weren’t involved, which is surprisingly harsh, but also accurate. I wouldn’t say the X-Men get into a “debate” over this, since the conflict is resolved by Xavier bluntly telling Storm that this is what must be done, but the brief scene is one of the better inter-team conflicts of the show’s run. Later, Strnad attempts to give Archangel some personality, as opposed to allowing him to scream hysterically about “Ah-POC-o-lips!” for the entire episode. The Archangel/Psylocke romance from the comics obviously influenced the decision to have them flirt/fight, and while the dialogue is obviously corny, the scene is surprisingly entertaining. I would argue Psylocke was the last of the major X-characters to appear on the show, so if nothing else, the episode provides some fan-service. Unfortunately, her character has been totally rewritten for reasons that never become obvious, so it’s hard to say that the wait was justified. So, yes, mixed feelings about this serial so far. Summary: In 3999, Apocalypse steals Cable’s cube-computer, but a remark by Cable causes Apocalypse to question his goals. He uses the cube-computer’s time traveling function and disappears. Bishop, meanwhile, attempts to get back to his time, but becomes trapped in the Axis of Time. He meets an eccentric resident who gives no clear answers. In the present, Cyclops and Jean Grey are married. As they drive away, they’re attacked by the Nasty Boys. They kidnap Jean, while Sinister attempts to abduct Xavier at the mansion. The X-Men stop Sinister, with the aid of Shard, who’s come from the future in search of Bishop. 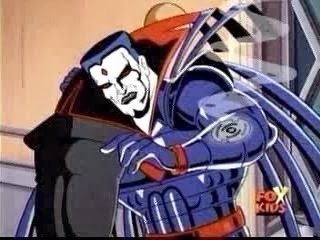 Sinister creates a portal and escapes to the Axis, where he meets his employer, Apocalypse. Cable appears with the Clan Chosen in the opening sequence. Tyler appears, a few years older, as one of his loyal soldiers. Morph is briefly shown sitting with the X-Men at Cyclops and Jean’s wedding. Forge sends Shard to the only coordinates that he can trace after Bishop’s disappearance, allowing her to join the action just in time. Vertigo joins the Nasty Boys this episode. She is a flunky for Sinister in the comics, but as a member of the Marauders, not the Nasty Boys. Apocalypse, leaving the year 3999, is somehow able to cause Bishop, leaving the year 1955, to be thrown off-track, into the Nexus of Time. How could that possibly work? Sinister calls upon the Nasty Boys, Gorgeous George specifically, to open the portal that allows him to escape. When they leave him behind during the fight, Sinister accuses them of being traitors. A few seconds later, Sinister’s hand begins to glow and he’s somehow able to generate a portal himself and teleport away. What did he even need the Nasty Boys for in the first place? "Actiiing! ": Apocalypse’s second voice actor, which the internet tells me is James Blendic, makes his first full appearance on the show. However, it sounds as if Apocalypse’s scene in the opening is done by the original actor, John Colicos, the man with the deep bass and insane delivery. Am I crazy or are there two Apocalypse voices in this episode? I Love the '90s: Forge sends Shard back to the “late 1990s” to search for Bishop. Review: "Beyond Good and Evil," according to internet lore, was originally intended as the series’ finale. This didn’t happen, in part because the episodes are airing out-of-order and there’s a season’s worth of material that hasn’t aired yet, but also because FOX will go on to order an additional six episodes during the show’s final days. I can see elements of the serial that hint that it could’ve been the series finale, although I’m glad the final episode turns out to be a slower, more character-driven piece. "Beyond Good and Evil" is a worthy attempt to bring together almost every character that’s appeared in the show so far, but the mere premise requires the plot to be cluttered, and I can recall wondering as the episodes aired what point (if any) the story’s trying to make. The episode opens with another Cable vignette in the future, and even though I’m already biased against any story featuring Clan Chosen, Cable’s cardboard future soldiers, it’s actually one of Cable’s better moments on the show. The writer and/or producers have decided to flagrantly turn Cable into Indiana Jones this time, right down to a line about hating snakes, and the fast pace of the opening is pretty entertaining. When Cable makes the fairly generic threat that Apocalypse can’t win because someone will always oppose him, Apocalypse has an unexpected response. What if Cable’s right? What if everything he does is utterly pointless? Having Apocalypse do more than make melodramatic proclamations, which he does very well on the show, and actually question his goals is a clever way to start the story. How it leads to Bishop, the Nexus of Time, and every telepath in the Marvel Universe is a little fuzzy, but I can’t deny that the first act does a decent job drawing the viewer into the story. The episode then jumps to Bishop, who just can’t seem to ever work this “time travel” thing out, can he? Now he’s trapped outside of time, and his only guide is the painfully irritating Bender. (Or is it Vendor? His voice is so obnoxious it’s hard to tell.) Bender/Vendor’s like the Junkions from Transformers, only far more annoying. He speaks only in cryptic pop culture quotes, in a voice so grating I actually miss the show’s interpretation of Mojo. Luckily, their scenes together are mercifully brief, as the story cuts to Scott and Jean’s wedding. Finally allowing Scott and Jean to get married is probably the best evidence that this serial was meant as the show’s finale, and it actually does feel like a proper resolution to their long-running engagement. Thankfully, the episode allows Scott and Jean to get married, have a reception, and then be attacked. Choosing Sinister and the Nasty Boys as the villains is a nice nod to the show’s continuity, and I have to admit that I kind of miss the Nasty Boys, even if their contributions never amounted to much. Drawing attention to the fact that the Nasty Boys want Jean and not Cyclops is also a nice hint regarding what exactly the kidnap victims have in common. While the premise of the storyline has a lot of potential, and the large cast already assembled is a treat for longtime fans of the series, the episode is marred by some of the worst animation the show’s seen in ages. Having this air directly after the visually rich (by AKOM standards) “Sanctuary” just emphasizes how weak the episode looks. The movements are lifeless, the fight scenes have almost no impact, and the color scheme seems to have reverted to the drab look of the earlier episodes. Why exactly the producers saw fit to recolor Magneto with darker reds and more shadow, but were content with coloring Apocalypse like an Easter Egg, remains a mystery to me. Even if this isn’t the show’s finale, it is a major storyline that’s drawing together almost every character we’ve seen so far. I realize that’s a burden on the animators, but a storyline that’s obviously intended to be very important should not look this shoddy. Summary: Beast and Xavier leave Asteroid M with the Russian astronauts. Believing Magneto dead, Xavier holds a memorial for him at the mansion. He then returns to Asteroid M with Beast, Rogue, and Wolverine. Magneto, meanwhile, lands on Earth after being left for dead inside an escape pod. Gambit is kept captive on Asteroid M, but Amelia Voght questions Fabian Cortez’s treatment of him. With Gambit’s prompting, Amelia finds the security footage of Cortez apparently killing Magneto and realizes his true scheme. She frees Gambit, who convinces his friend Byron to turn against Cortez. The X-Men are unable to stop Cortez from launching Asteroid M’s missiles towards Earth, but a revitalized Magneto appears and destroys the missiles. He then traps Cortez inside the collapsing Asteroid M. Later, Cortez is somehow rescued by Apocalypse and Deathbird. Magneto claims Earth’s magnetic field has healed his body, allowing him to return for the climax. The X-Men use Shi’ar technology to enhance the Blackbird and travel into orbit. Wolverine joins the expedition into space this episode, with no explanation of where the other team members are. Xavier gives Magneto’s full name as “Erik Magnus Lensherr” which I believe is the first time he’s given a real name on the show. Fabian Cortez releases a statement on mutant rights on live television. X-Factor, Gideon and Nicodemus of the X-Ternals, Haven, and Typhoon are all shown watching the footage. The X-Men wear special outfits when invading Asteroid M. Wolverine is in his purple “stealth gear,” which I believe he wore once in Marvel Comics Presents. Xavier is wearing the outfit he wore in X-Men #25, although it doesn’t allow him to walk. Rogue and Beast are wearing costumes I’ve never seen before, but assume were action figures in the ‘90s. "Actiiing! ": Apocalypse has a new voice during his cameo at the end. It’s not nearly as deep and menacing as the original voice, unfortunately. Review: With the exception of Gambit’s buddy Byron, who adds virtually nothing to the overall story, the plot details established in the first chapter are effectively paid off as the two-parter reaches its conclusion. 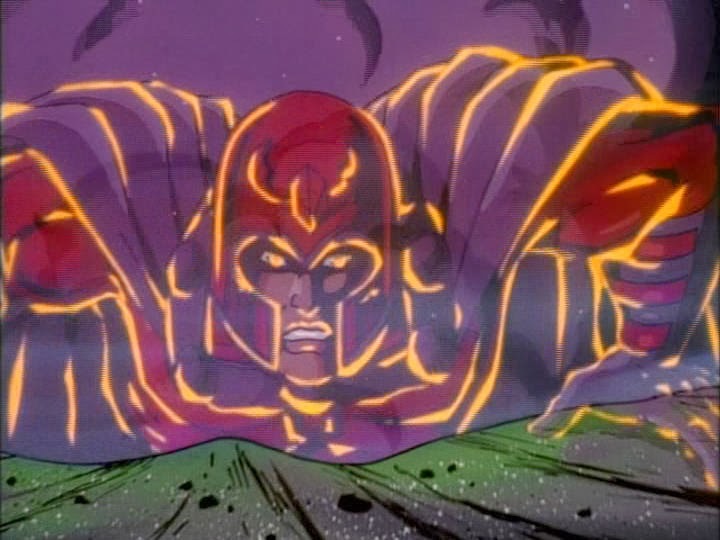 Some elements of the original storyline are sanitized, such as Magneto assuring Xavier that he won’t die as Asteroid M crashes, but the story still has an impact. Magneto reappearing above the Earth to save everyone, human and mutant, from Cortez’s missile strike is one of the series’ finest moments. The ending’s also a nice surprise, as the show makes one of its final efforts to introduce mysteries and subplots that are carried over into new storylines. Casting Cortez as the comical exaggeration of what people think Magneto is supposed to be is a great move, as the cartoon manages to get more out of their relationship than the source material did. (Although Cortez is just as dumb here as he normally is in the comics, considering that he doesn’t erase the security tape of him “killing” Magneto.) In the comics, Cortez’s betrayal of Magneto only becomes a plot point in the final pages of the story, even if it is foreshadowed earlier, leaving the creators with no room to explore the idea. In “Sanctuary,” the audience is given a much more rewarding resolution as Magneto reappears just in time to teach his pale replacement a lesson. The character moments are also memorable, as Xavier prepares a tribute for Magneto when he’s still believed dead, a nice acknowledgment of their friendship that shows just how well the series understood how to portray the Xavier/Magneto dynamic. Magneto’s final words to Xavier as he refuses Xavier’s aid while Asteroid M collapses are also well written, and well executed by voice actor David Hemblen. As a tribute to the final pages of Claremont’s original run, the scene is a nice reminder of the show’s ability to capture the Claremont interpretation of the character.